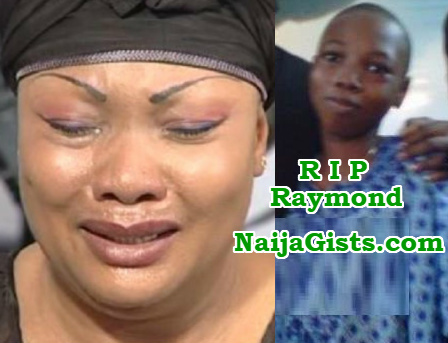 Nollywood actress Eucharia Anunobi lost her only child, Raymond to the cold hand of death yesterday. When The NET reached out to her, Miss Anunobi who didn’t betray any emotion confirmed the death of 15-year-old Raymond Ekwu. The actress who divorced her husband Charles Ekwu officially in 2010, slammed him with a N100million lawsuit. The case was later resolved out of court after family elders waded in. EUCHARIA ANUNOBI ! BLESSED ARE YOU , FOR U SHALL BE COMFORTED ! FOR 15YRS , GOD HAS BEEN MERCIFUL .RAYMOND HAS JOINED HIM TO GLORY .JEHOVAH KNOWS D BEST FOR A DAUGHTER OF ZION LIKE YOU . WEEP NOT AS RAYMOND EKWU WENT TO REST IJN. May you find comfort in God’s word and the Holy Spirit. I pray that Raymond rests in the bosom of our Savior Jesus and become an Angel to watch over you. Jehovah will have mercy on you and bless you with two healthy sickle cell free twins, amen. It is well with you, sister. Almighty God will console and comfort you Eucharia. God will surely give you beauty for ashes In Jesus Name. THE MOTHER MUST Be ASKED A VERY GOOD QUESTION BCOS A WITCH CANNOT Be CRIED AT NIGHT N A CHILD DIED IN THE MORNING AND WE RE ASKING OURSELVES QUESTIONS, PEOPLE CAN use THEIR FRUIT POWERS N MONEY FAMES, HOW CAN A CHILD THAT ISNT BEEN SICK JUST GIVE UP A GHOST????????????????????????????????????????????????????????????????????????????????????????????????????????????? THINGS RE HAPPENING IN NIGERIA, NOTHING JUST HAPPEN THIS WORLD IS MORE SPIRITUAL THAN PHYSICAL….. IN THE NAME OF JESUS CHRIST REYMOND MAY YOUR KILLER BE KILLED IN THE NAME OF JESUS CHRIST AND AS YOUR DESTINY HAS BEEN CUT SHORT N MAY THAT SAME PERSON BE EXPOSED FOR THE WHOLE TO SEE IN JESUS NAME AMEN….. THE MOTHER MUST BE HOLD FOR QUESTIONING, BCOS A WITCH CANNOT CRIED AT NIGHT N A CHILD DIED IN THE MORNING AND WE RE ASKING OURSELVES QUESTIONS HERE, PEOPLE CAN USES THEIR OWN FRUIT FOR POWERS N MONEY FOR FAMES SAKES, HOW CAN A CHILD THAT WAS NOT SICK JUST GAVE UP GHOST JUST LIKE THAT???????????????????????????????????????????????????????????????????????????????????????????????????????????????? 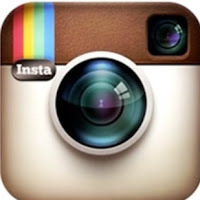 THINGS RE HAPPENING IN NIGERIA, NOTHING JUST HAPPEN, THIS WORLD IS MORE SPIRITUAL THAN PHYSICAL AS WE RE SEEING IT….. IN THE NAME OF JESUS CHRIST REYMOND MAY YOUR KILLER BE KILLED IN THE NAME OF JESUS CHRIST AND AS YOUR DESTINY HAS BEEN CUT SHORT N MAY THAT THE SAME PERSON BE EXPOSED FOR THE WHOLE TO SEE IN JESUS NAME AMEN…..
Judgement, do not judge others for you may be judged. It appears you are insinuating that the mother of that deceased boy had used him for money, fame and/ power ritual. That may not be the case, the current crime situation in Nigeria might have let you arrive to that conclusion but you are not really sure. Although that may likely be possible by trying to take that boy’s advantage for being a sickle cell patient by presenting to the world that the boy probably died of sickle cell anemia cause but don’t let us go through that direction for now. Let us sympathize with her for loosing her only son but if she has any knowledge about his death, well, God is the only judge. Since that boy was born sickel cell by birth, both parents have known that it is a matter of time he will eventually die. A lot of similar cases like this boy are common especially among the sickel cell patients. Eucharia and her former husband are both AS and AS genotype and the end result is that boy. May his soul rest in perfect peace. They might not aware when they were dating. That is why blood testing is more necessary nowadays for two lovers to avoid being given birth to children who will end up struggling with health issue. Greatest comforter will comfort you. Stop crying, and wipe your tears. GO for IVF it will work for you. Mark my word, GOD will send Raymond and a beautiful girl to you. Expect twins. GOD will turn your mourning to testimony in JESUS name. May God comfort you, so painful. Rip son.